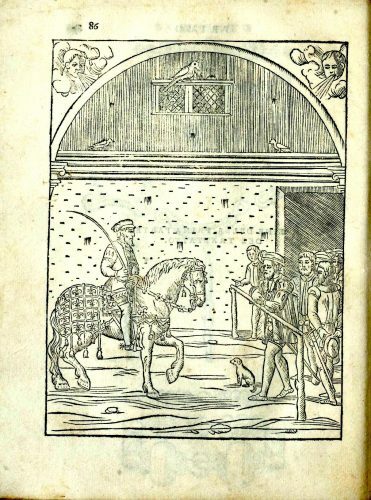 New interesting and unknown details of Cesare Fiaschi’s biography emerge from the study of some ancient sources, which illuminate, with a new light, one of the most interesting figures of the Renaissance equestrian culture and disprove many legends and inaccuracies handed down to us about him. 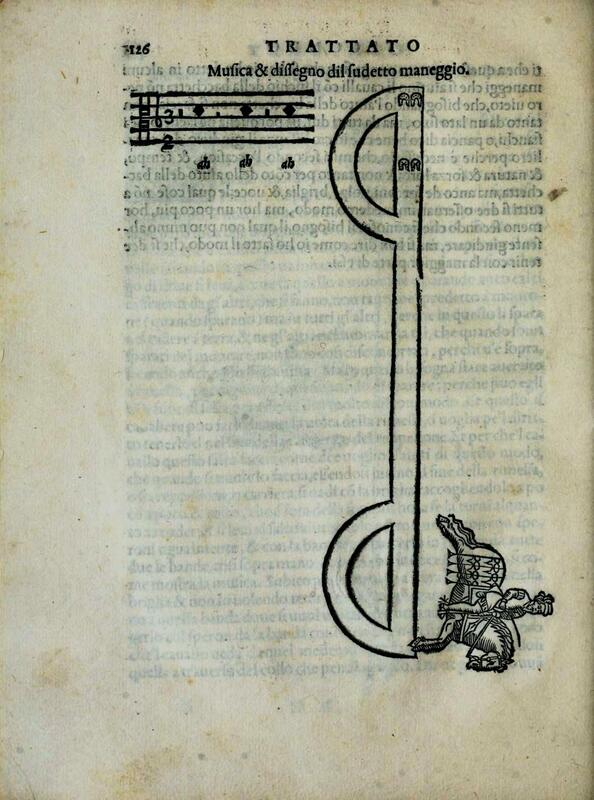 A curious destiny unites the authors of the first equestrian treatises published in Italy during the Renaissance. 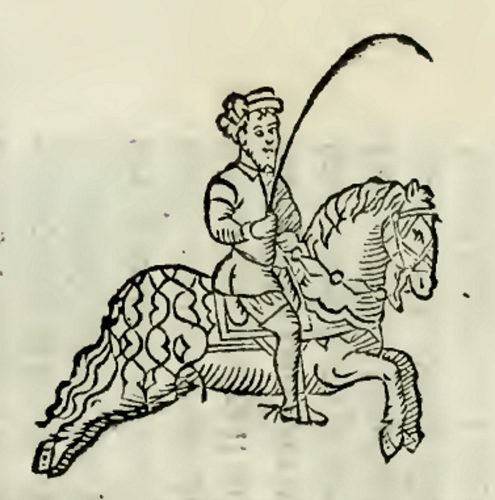 While they have not been considered very much by professional historians who, with some brilliant exceptions, have ignored them, they are, instead, revered as guardian gods by a small handful of horsemanship enthusiasts who, however, do not know much about them beyond their name printed on the frontispiece of their books. This is exactly the situation of Cesare Fiaschi, author of the Trattato dell’imbrigliare, atteggiare e ferrare cavalli (Treatise about bridling, training and shoeing horses), published in Bologna in 1556, which is one of the most fascinating and original books ever dedicated to the equestrian arts. The information we have so far about his life is very scarce and largely erroneous. By simply browsing the Web, you can easily see that many legends, without any evidence and often characterized by evident anachronisms, have flourished about him. For example, many argue that Fiaschi, who was born in the city of Ferrara, was a pupil of the Neapolitan Federico Grisone and that they collaborated in an imaginary academy of Naples. André Monteilhet then writes (MONTEILHET, 2009, 128) that Fiaschi founded another imaginary academy in Ferrara in 1534 (it must be said that classical riding fans are obsessed by academies!). However, none of this information has been proven by any document of the time. Because of these misconceptions, I will try to put together some interesting data about Cesare Fiasch’s biography which I recently collected from some ancient sources and which, until now, were unknown to scholars. 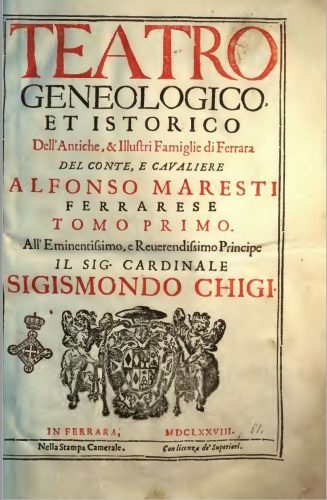 The first of these sources is the monumental work of Count Alfonso Maresti, Teatro geneologico et istorico dell’antiche & illustri famiglie di Ferrara (Genealogical and Historical Theater of the ancient and illustrious families of Ferrara) whose three voluminous volumes were printed between 1678 and 1708. 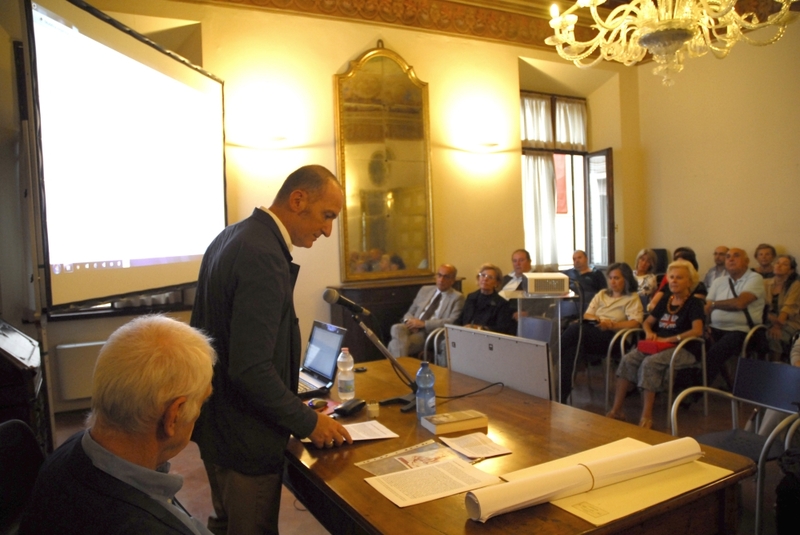 Maresti devotes a broad discussion to the history of the Fiaschi family, from which we learn that it was one of the most eminent Ferrarese families. The father of Cesare, Girolamo, was the squire of the French king Charles IX, while his mother, Eleonora, belonged to the Sacrati family, considered to be one of the most prominent and rich in Ferrara. Cesare was the tenth child of the couple and was born in 1523, together with his twin sister Lucrezia. From the marriage of Girolamo with Eleonora Sacrati were born: Alberto (1510), Margherita (1511), Alfonso (1512), Isabella (1514), Alessandro (1516), Margherita II (1518), Ludovico II (1520), Ercole (1522) and the twins Lucrezia and Cesare (MARESTI, 1708, p.155). “He had imperial privilege of Earl and Knight, to appoint Notaries, and legitimize bastards [i.e. illegitimate sons]” (MARESTI, 1708, p.156). From Maresti, we learn that at the time of the writing of the third testament of his father Girolamo, on October 24, 1570, of the five male children that he had from his wife Eleonora, only Cesare and Alessandro were still alive. Regarding the brothers of Cesare, the firstborn Alberto was a doctor in law and went to Rome where he obtained ecclesiastical dignity. He then went back to Ferrara and was appointed Canon of the Cathedral. However, the two most eminent figures were Alfonso and Alessandro. Alfonso served the Este and was ambassador to the French court. He also held the position of governor of the estates that Duke Ercole II obtained in France after the marriage (1528) to his wife Renée (second daughter of Louis XII). Alfonso died in the city of Caen and was buried in the Church of the Friars Minor of Saint Francis of Paola in that city. Alessandro also played a leading role in the Este court and was ambassador to France, Spain, Rome and Germany. We do not have any information about Cesare’s twin sister, Lucrezia. Ercole died at a young age, while Margherita died when she was still a baby in arms. 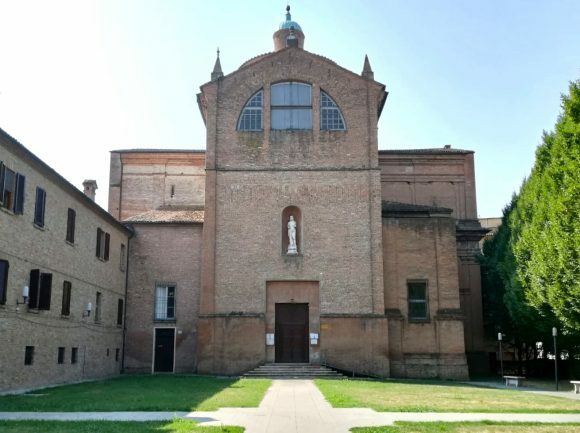 The second Margherita entered the Monastery of Santa Maria di Mortara and was twice abbess. 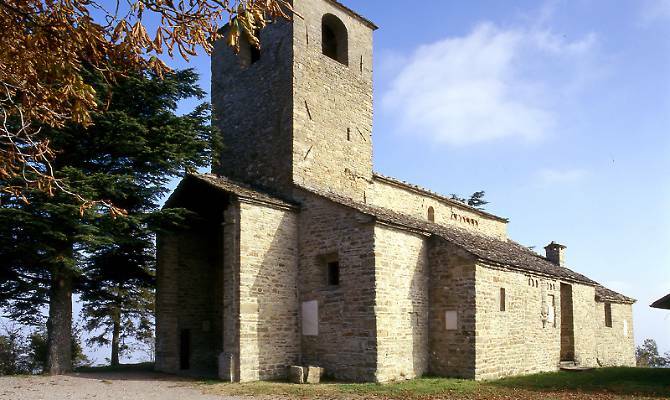 Isabella also took the religious cloth in the Monastery of San Vito, of which she was twice Mother Superior. The Fiaschi resided in the historic family palace, in the district of Mucina, close to the Church of Santa Giustina, where now is Via Garibaldi. They had inherited it from Cesare’s grandfather, Ludovico, who was particularly benefited by Duke Ercole I. 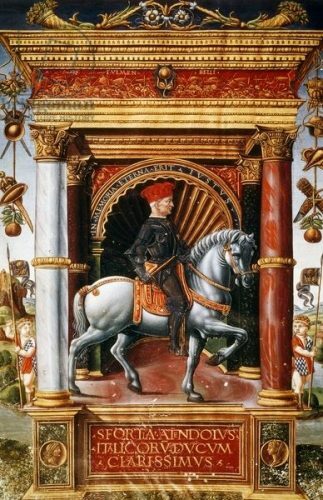 Not only had the Duke nominated him Knight and attended his wedding with Margherita Perondoli, in 1478, but he donated to Ludovico the palace that he had confiscated from Matteo dall’Erbe from Milan, when the latter sided with Lionello d’Este in a conspiracy in 1476 (FRIZZI, 1796, AVENTI, 1838, MORONI, 1843). 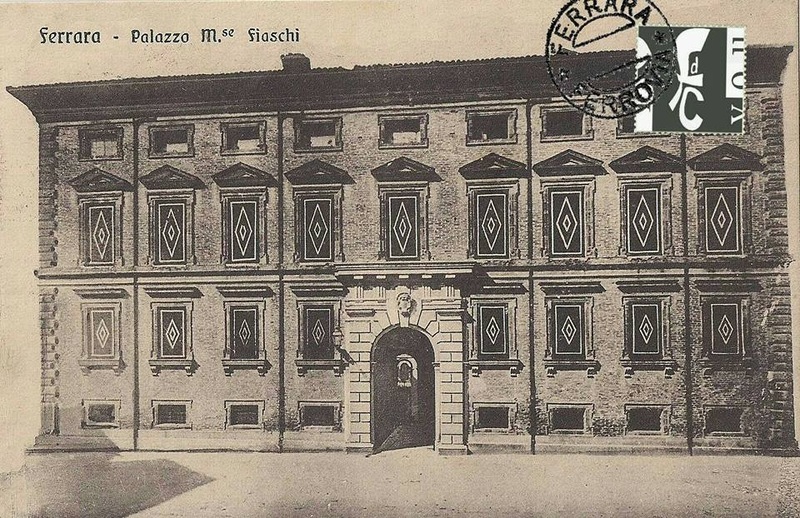 The palace was renovated around 1600 by Marquis Alessandro Fiaschi (AVENTI, 1838). 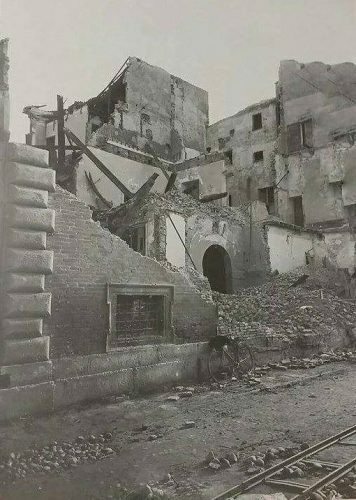 It was, unfortunately, destroyed on December 29, 1943, during the first bombing of Ferrara (PIVA 2017) and now a modern condominium stands in its place. The presence of the three blackberries recalls the history of the Fiaschi family. According to Maresti, it would have oriental origins and would have come to Italy from Greece, in the thirteenth century. At that time the family had not yet taken the surname we now know, but his members would have been known as “de Mori” (“mora” in Italian means blackberry, while “Mori” means “Moors”). However, they begin to have significant mention starting from the following century, when such a Pietro Gerasio was in the service of Giacomo Attendolo Sforza (1369-1424), duke of Cotignola, progenitor of the dynasty that would have soon take possession of the Duchy of Milan. Attendolo assigned Pietro Gerasio as a companion in arms to his son, Francesco. Following Francesco, Pietro Gerasio participated in the war of succession of the Kingdom of Naples, opposing Alfonso V of Aragon. 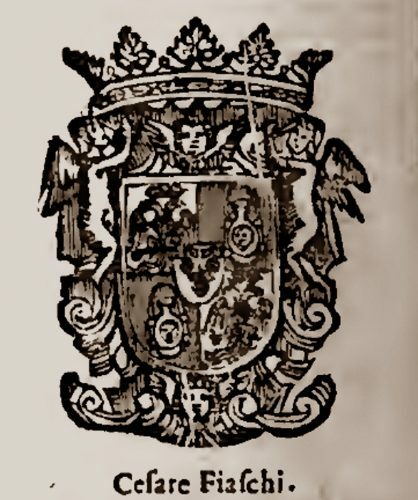 According to Maresti, the acquisition of the surname Fiaschi went back to an episode of this war, in which Francesco and Pietro Gerasio fought with the colors of Queen Johanna II of Naples. In the alternating vicissitudes of the conflict, at a certain moment, the queen had to flee for the chase of the enemy troops and during the flight, she found herself extremely thirsty and in a place where there was no water. Pietro Gerasio then helped her with a flask of wine, which he had found there. Since then, in the army, they began to call him “Pietro dal Fiasco” (“Peter of the flask”) and this nickname passed to his descendants, replacing the old surname “de Mori” with that of “dal Fiasco” or “de Fiaschi”. 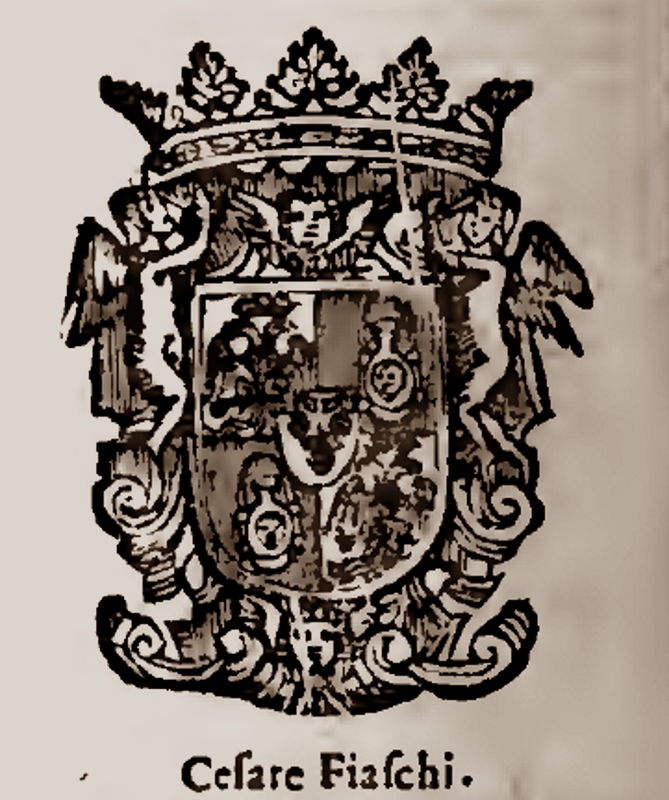 Maresti writes that, to keep memory of this episode, Pietro Gerasio added the flask to his family’s coat of arms with the three blackberries. 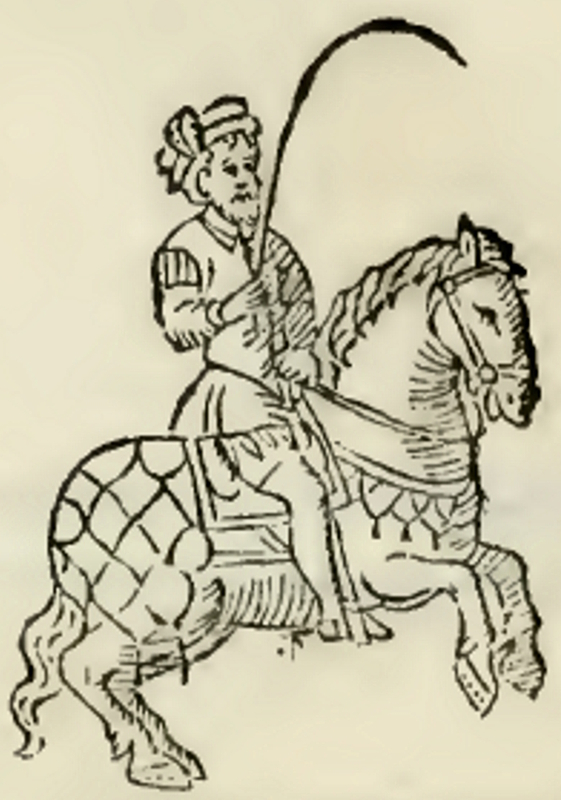 Moreover, according to Maresti, shortly before conquering the duchy of Milan, Francesco Sforza invested Pietro Gerasio, with the title of earl and assigned him the county of Castello di Tizzano, at that time in the State of Milan. 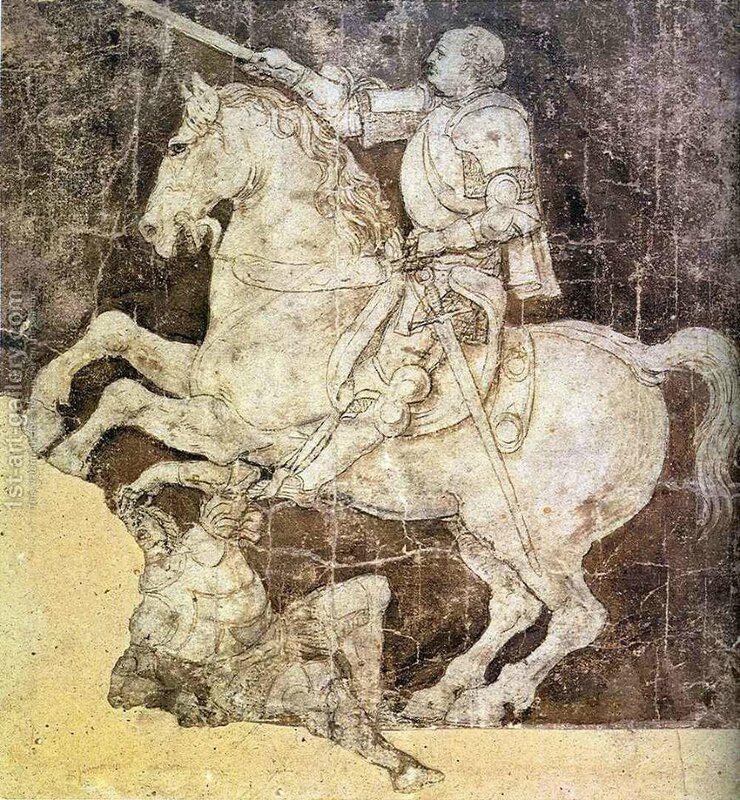 As evidence of the close relationship that linked him to his lord, Pietro was one of the twelve knights admitted to the Sforza’s table. At his death, Pietro Gerasio was buried in the Pieve di Tizzano, which was in his possession and which today is in the province of Parma. 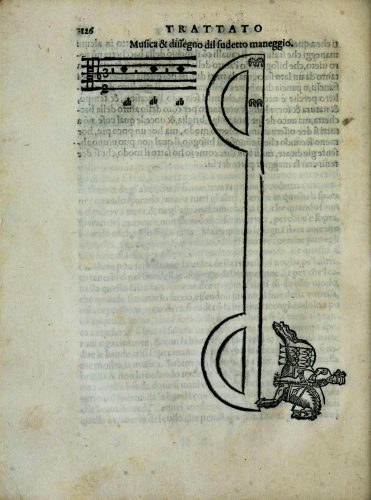 The first mention of the surname Fiaschi in Ferrara dates back to April 4, 1439, in an act of purchase in which it is named an “egregio viro Bartolomeo alias cognominato Fiasco, fam. 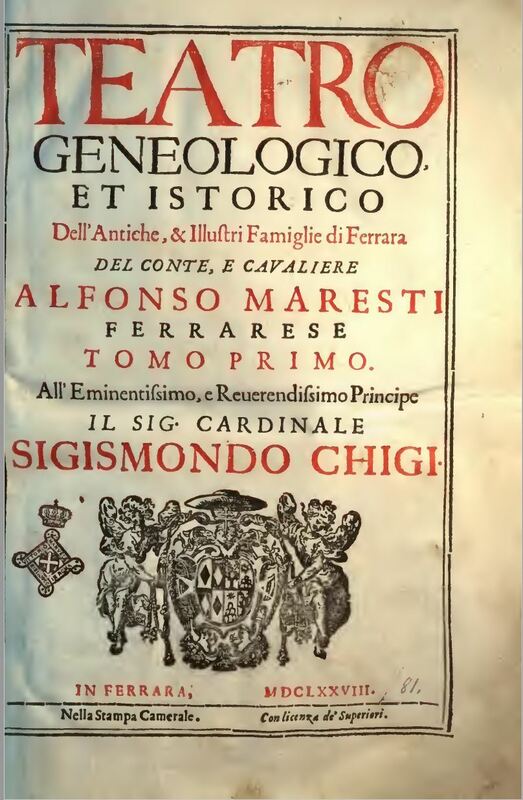 Illustrissimi Domini Marchionis Estensis, et filio quondam Iacobi Mattei de Moro” (egregious sir Bartolomeo also surnamed Fiasco, in the service of the very illustrious Lord Marquis d’Este and son of late Giacomo Matteo de Moro; MARESTI 1708, pp. 147-148). We know that he received a land grant with the title of Ferrarese Noble from Nicolò III d’Este in 1428 and obtained further benefits in 1431. Bartolomeo had three sons. Ludovico was one of them and he served the Estensi, obtaining ample benefits and possessions in return. He is Cesare’s grandfather, from whom the family inherited the Palace in the city of Ferrara. It is probable that Cesare’s last years were distressed by a serious threat. The Italy in which our noble knight lived was pervaded by the religious ferment born with the Lutheran Reformation and by the consequent reaction of the Church of Rome that, with the Council of Trent, had decided to repress that ferment with every means. In 1551, in Ferrara a preacher of Sicilian origin was tried, sentenced and hanged. He was a Benedictine monk, Giorgio Rioli, known as Giorgio Siculo, author of works judged heretical, in which he announced extraordinary revelations, that he claimed were communicated to him directly by Christ. Powerful and humble men, as well as religious and laity, were fascinated by his doctrines, which were disclosed in secret form. The persecution of his followers continued for a few decades after his death. On December 3, 1567 Francesco Severi, named l’Argenta, was arrested. 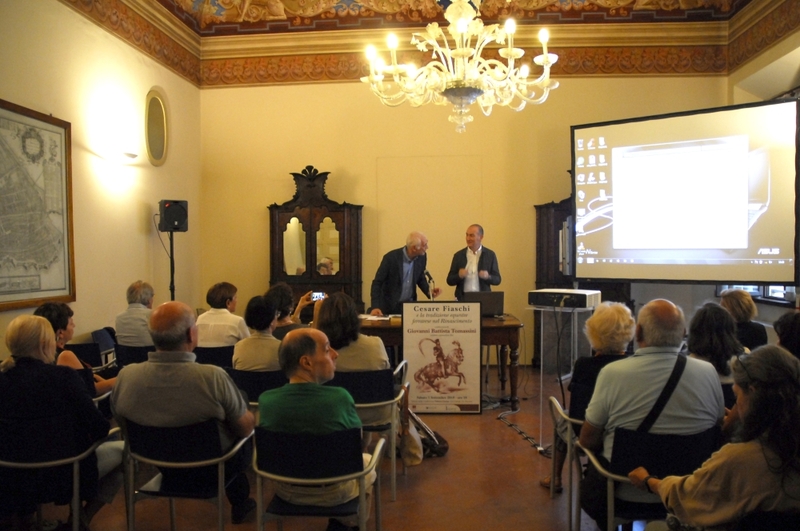 He was a famous physician and professor of the University of Ferrara. 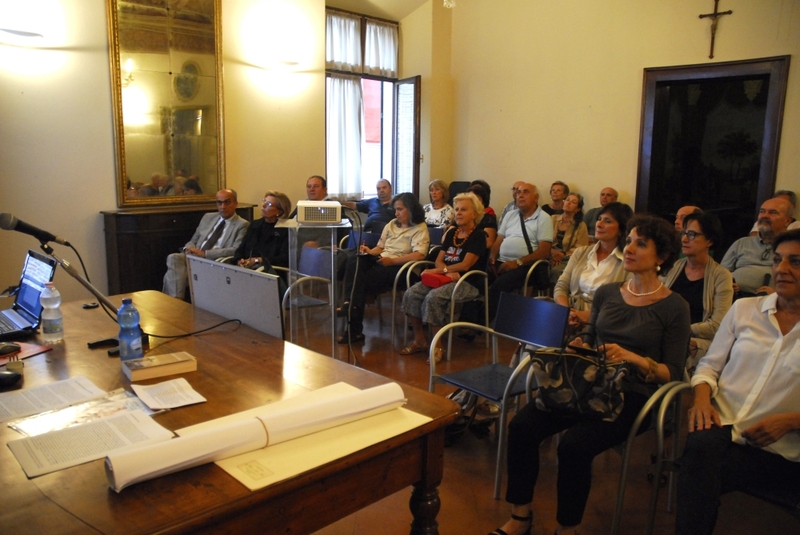 The process lasted for several months and involved other people from Ferrara. The sentence was delivered in early August 1568, and we know from a chronicle of that time, that it was read publicly in Ferrara on the 29th of the same month. Severi was condemned to perpetual jail, as well as several other followers of the sect. Three of them were beheaded and then burned. 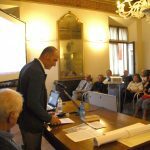 Among other convictions there is also that of Cesare Fiaschi, a gentleman from Ferrara, who was condemned to ten years in jail. The chronicle that reports this news warns that, apart from the dead, all the people who was condemned “shortly afterwards, their condemnations were partly forgiven, some by the intercession of friends, and others by other arrangements, but principally because the inquisitor who succeeded the one who condemned them, was less harsh” (cited in PROSPERI, 2011, p 280). Unfortunately, this did not happen to Francesco Severi, who was again found guilty on 13 July 1570 and a month later, beheaded and burned. If indeed the Cesare Fiaschi who was condemned as a follower of the Giorgian sect, is our author, it is probable that he could have benefited from the intercessions of powerful friends and of his family and that he did not end his days in a cell, or chained to the oars of a galley (at the time, convictions were often served on warships, in conditions that made the convicted regret not being in the damp dungeons of the Castle of Ferrara). 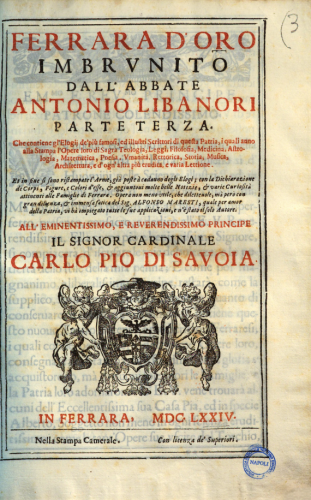 This condemnation for heresy, still to be verified and investigated, could however explain a certain reticence regarding the figure of Cesare of the authors who wrote about the Fiaschi family in epochs immediately following the events, when perhaps the memory of the events was still alive. They usually remember only his work, without talking of other details. Maresti, who is the one who wrote more about Cesare’s life, makes no mention of any condemnation. Unfortunately, today there is no apparent evidence left in the church. The interior has been remodeled several times and it is now altered by an ugly decoration, probably dating back to the late nineteenth century. 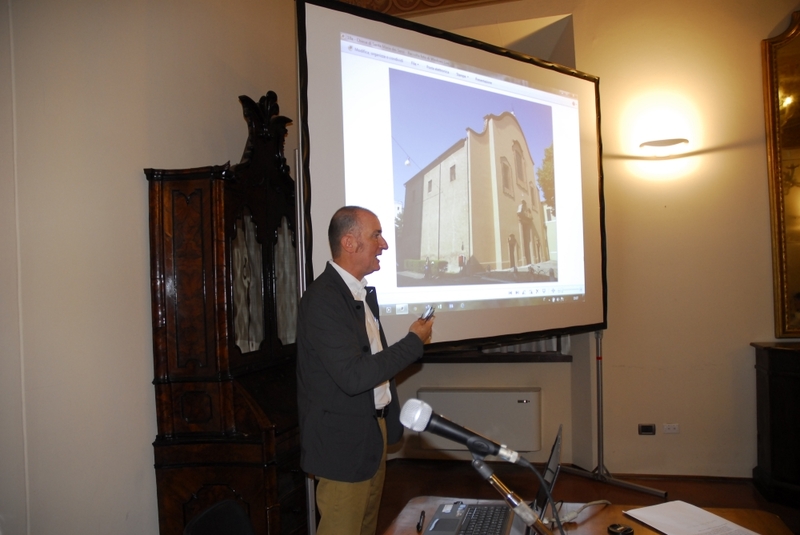 The paintings mentioned by Barotti are not there anymore and it is impossible for the visitor to identify which of the niches dug in the walls could accommodate them. In short, research can and must go on. 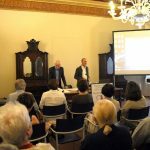 NOTE: This article summarizes the contents of the lecture I gave at the Ferrara Press Club (Circolo della Stampa in Ferrara), Saturday, September 1, 2018. 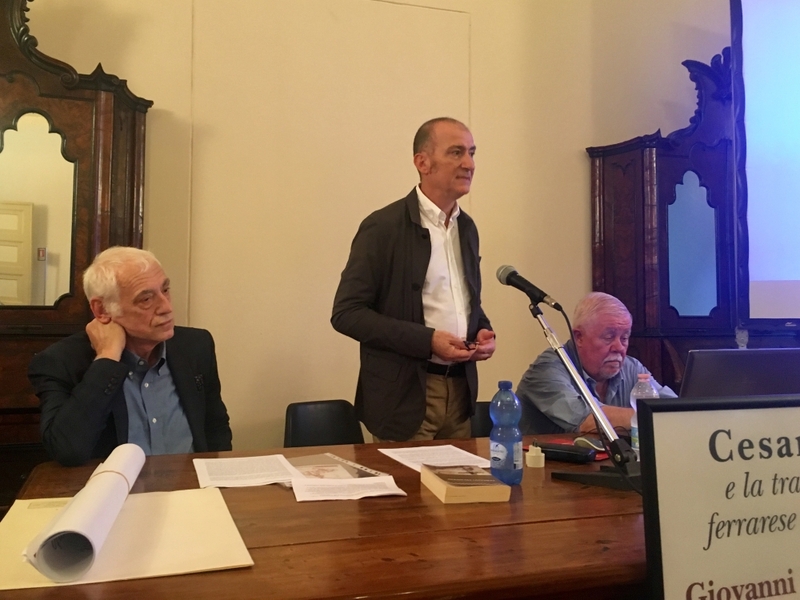 I hereby express all my friendship and gratitude to Angelo Grasso, president of the UAIPRE – ANCCE Italia, the Italian Association of PRE breeders, for inviting me and encouraging me to deepen my studies about Cesare Fiaschi. 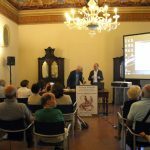 My thoughts then go to the Ferrara Press Club, and in particular to the vice president Simonetta Savino, to the secretary Gino Perin and to the entire Board of Directors, who welcomed me as honorary member. The friendship, the consideration and the affection of my Ferrarese friends are a very precious gift to me. Francesco AVENTI, Il servitore di piazza, guida per Ferrara, Pomatelli Tipografo, 1838. 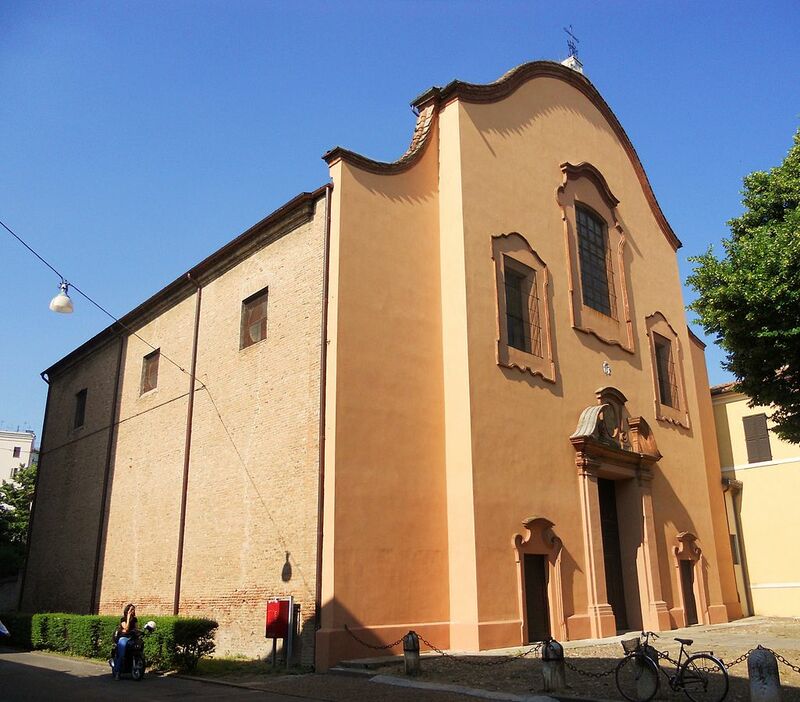 Cesare BAROTTI, Pitture e Scolture che si trovano nelle Chiese della Citta di Ferrara, Ferrara, appresso Giuseppe Rinaldi, 1770. Antonio FRIZZI, Memorie per la storia di Ferrara, Ferrara, per Francesco Pomatelli, 1796, Tomo IV. Antonio LIBANORI, Ferrara d’oro. Parte terza. 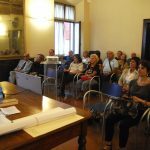 Che contiene gl’elogij de’ più famosi, ed illustri scrittori di questa patria, i quali anno alla stampa l’opere loro di sagra teologia, leggi, filosofia, … e d’ogn’altra più erudita, e varia lettione, Ferrara, nella Stampa Camerale, 1674. 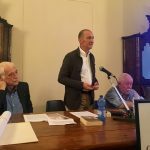 Alfonso MARESTI, Teatro geneologico et istorico dell’antiche & illustri famiglie di Ferrara, Ferrara, Nella stampa Camerale Vol. III, 1708. André MONTEILHET, Les Maîtres de l’oeuvre équestre, Arles, Actes Sud, 1979 (nuova ed. 2009). Gaetano MORONI, Dizionario di erudizione storico-ecclesiastica da S. Pietro sino ai nostri giorni, Venezia, Tipografia Emiliana, 1843. 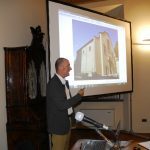 Florio PIVA, C’era una volta Palazzo Fiaschi, Un gioiello architettonico della vecchia via Garibaldi, Listone Magazine, 30 novembre 2017. Adriano PROSPERI, L’eresia del Libro Grande. 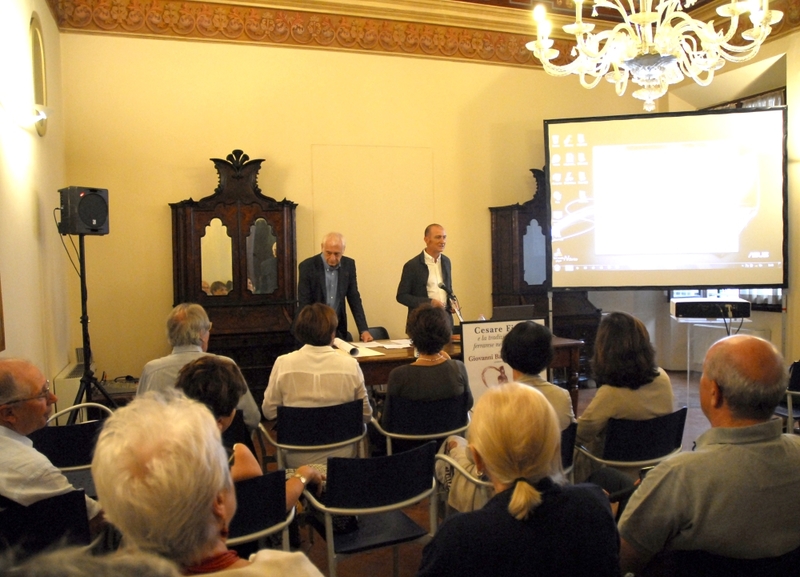 Storia di Giorgio Siculo e della sua setta, Milano, Feltrinelli, 2011.